Wa’a (also va’a, waka): This is the hull or the main body of the canoe. It contains six seats (noho). Traditional canoes weigh over 400 pounds. Unlimited canoes range in weight and our Unlimited Malolo (Kuakea) weighs about 145 pounds. They are around 45 feet in length! Ama: The floating outrigger on the left side of the canoe. It helps the canoe stay balanced on the water. 'Iakos: (pronounced eye-yah-kos) These are the 2 thin, curved pieces of wood or metal that connect the ama to the hull, also called spars. Seats 2 and 4 always lean on the 'iako when the crew is not paddling, when the steers person is docking, or in conditions that require special attention. Muku: these are the ends of ‘iako that extend beyond the hull. There are many other Hawaiian terms used when referring to an outrigger canoe so this is meant to get you started! 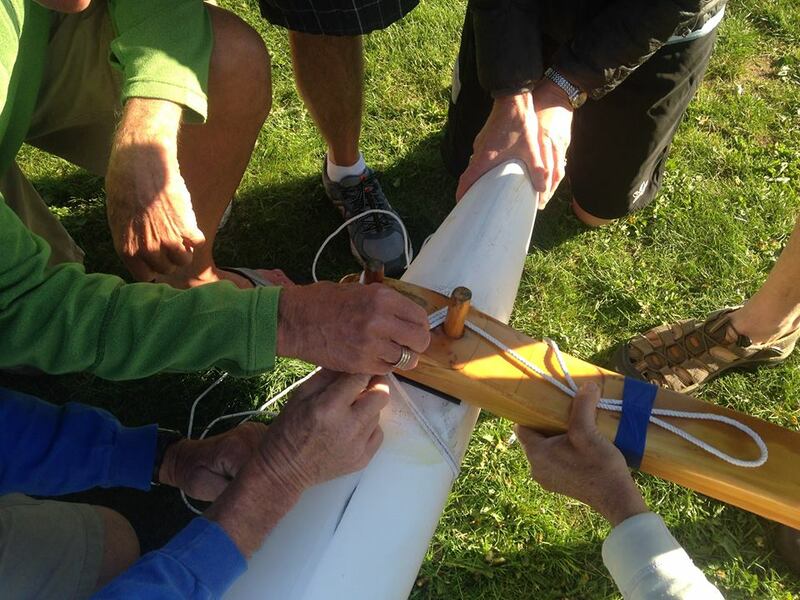 Rigging: It takes team work to tie or rig the canoe. We tie the ama and 'iakos to each other using ropes and special traditional knots. Then we tie the 'iakos to the wa'a. All paddlers are encouraged to learn how to do this! It is fun and challenging and a great way to learn more about your canoe and feel confident when you are out on the water and know how its put together!